Discover the Arabian city of Abu Dhabi in a unique, convenient and hassle-free way and enjoy your vacation like never before. This unbeatable city is the place where some of your wildest dreams can come true. Be it one of the biggest water parks in the world or a Ferrari-branded adventure you will have it all in Abu Dhabi. Out special tours are extremely easy and also very suitable for the first-time visitors, as you can just focus all your energies on having a good time, rather than planning and arranging. 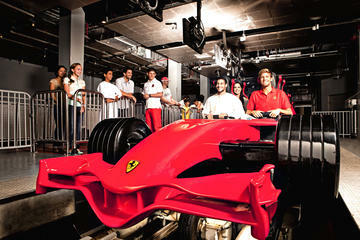 The thrilling Ferrari World on the Yas Island in Abu Dhabi is an experience to treasure for a lifetime. Take an all-day entry ticket into this exciting indoor theme park, which also happens to be the largest in the world. Have a time of your life at the exhilarating attractions and rides, and try on the Formula Rossa, the world’s fastest coaster. The all-day ticket ensures you can explore the park to its fullest. 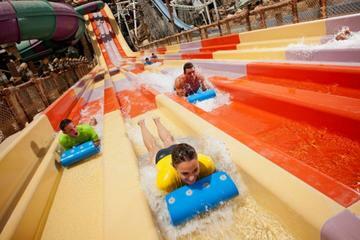 Have a hearty trip at the Yas Waterworld and spend an entire day enjoying the amazing rides and slides at the water park. This is a family entertainment destination and can be enjoyed by the people of all ages. The rides and pools are truly world class and for an even more fulfilling experience get upgraded by the Fast pass, and avoid standing in queues. 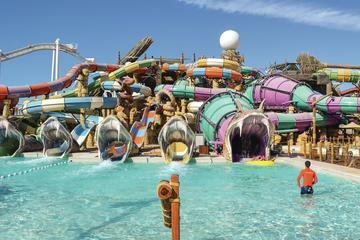 Have a great day at the Yas Waterworld and feel the adrenaline rush through your head. The Yas Waterworld is one of the best and the biggest water parks in the world, where you can enjoy unlimited fun activities like the waterslide Liwa Loop, Bubble’s Barrel surfable sheet wave, etc. and also a Tot’s Playground for the kiddies. This tour includes hotel pickup and an extensive tour by a bus.